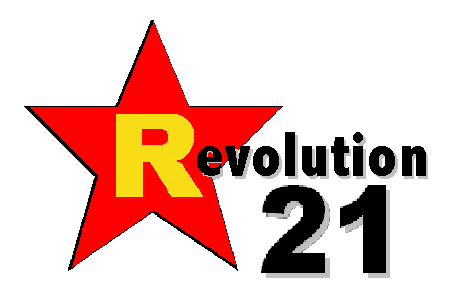 Revolution 21's Blog for the People: Does he just play a hypocrite on television? Does he just play a hypocrite on television? When the subject is capital punishment, things get real weird real fast in the Nebraska Legislature. THE QUESTION before the body (pun unintended) today is whether unicameral Speaker Mike Flood is really a massive hypocrite, or whether he just plays one on television. The 31-7 vote came as the Nebraska Legislature had first-round debate to a bill that would change the method of execution from electrocution to lethal injection. The rejected amendment, offered Lincoln Sen. Bill Avery, was based on a recently passed law in Virginia. It narrowed who qualifies for the death penalty to only those murderers whose crimes was confirmed by DNA evidence, who confessed in a video recording or whose crime was caught on video. Avery said the recent case of the Beatrice 6 - in which six people convicted of a 1985 murder in Beatrice and were exonerated via DNA evidence - is a reason to narrow the application of the death penalty to those who could be convincingly proven to have committed a heinous murder. "We have an obligation if we are to use lethal injection that we get it right," Avery said. State Sen. Mike Flood of Norfolk, the chief sponsor of the lethal injection bill, said that Avery must be "watching CSI" because DNA and video evidence doesn't exist in every murder case. "That is a fantasy you on television," Flood said, adding that Avery's bill would change the burden of proof from "without a reasonable doubt" to "conclusive proof." BUT WAS IT a "fantasy Flood" playing the part of a pretentious butthead, live on the state's NET 2 educational-television channel, which covers the Legislature gavel-to-gavel? Really, viewers want to know whether the speaker's a clown only when the red light's on. When the gavel came down and the cameras cut out, did Flood go up to Avery, slap him on the back and ask "Was that an over-the-top performance or what?" Yeah, I was ROFLMAO right in front of the big screen. AS FAR AS Nebraska's death penalty goes, I have an idea: Do away with it. Save the money, the court fights and the nagging worry about whether -- or when -- we're going to execute an innocent person. And bypass the whole question surrounding the justice of condemning some kinds of folk to die versus letting others die of old age someday in a prison hospital ward, or even walking out of the state pen on some distant day . . . free as an ex-jailbird. Speaking of f***. . . .
3 Chords & the Truth: It's summer! W8! ST8 SK8S ON PL8S' F8! Morons . . . or evil geniuses? Before you come on down . . .
3 Chords & the Truth: It's sweet! Stoning school buses by other means? OK, if you didn't like that one . . . They built The Bob already. Deal with it. H1N1? Or could it be. . . ?